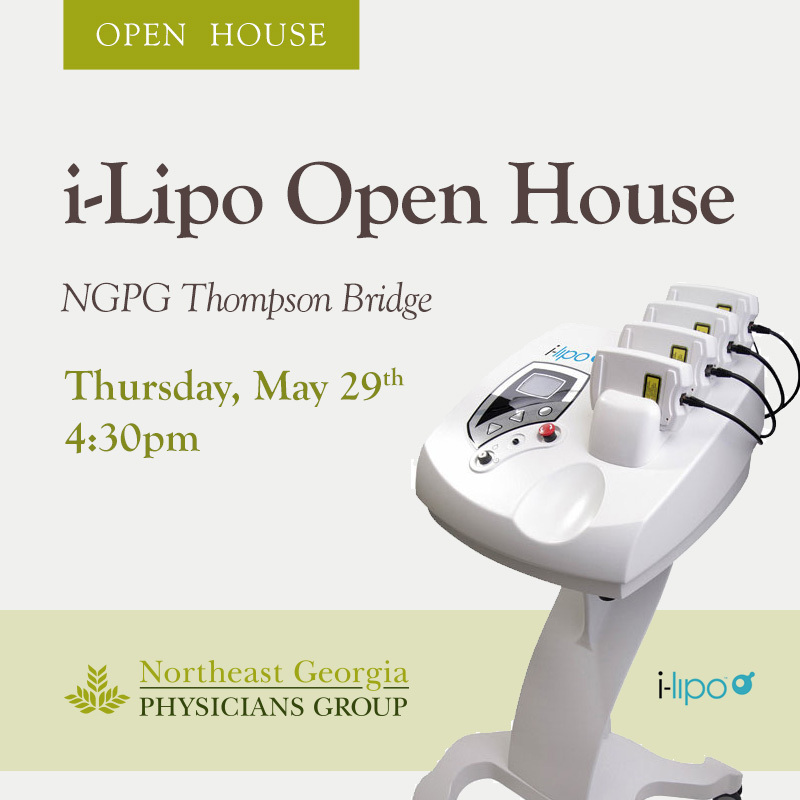 GAINESVILLE, Ga. — Come to an open house at Northeast Georgia Physicians Group (NGPG) Thompson Bridge to learn more about the practice’s new i-Lipo machine on Thursday, May 29, at 4:30 p.m. Get directions at www.ngpg.org/thompson-bridge, or call 770-534-2800 if you have any questions. NGPG Thompson Bridge is proud to be the first in Hall County to offer i-Lipo, a new fat-reduction and body shaping treatment. i-Lipo is an FDA-cleared fat reduction and body shaping device that uses low level laser energy to painlessly stimulate the body into naturally shrinking targeted fat deposits. Patients report an 8-10 percent reduction in circumference after a typical course of eight treatments. Katie Dudas, MD, and Christy Wagner, MD, are now accepting patients for this painless, quick and easy procedure. i-Lipo is applicable to anyone who desires to lose fat in stubborn areas such as arms, legs, thighs, buttocks, abdomen, love handles, under the chin and male chest area. The process is particularly appealing to those who want to avoid an invasive and costly procedure such as liposuction. The painless treatments last just 20 minutes, during which low-level laser energy targets fat stored in adipose cells and facilitate the release of fatty acids. These molecules are then transported around the body to be “burned off” during a brief period of post-treatment exercise.